Pediatric Dentist or General Dentist? If you are looking for a dentist to care for your children’s teeth, chances are you will find several general dental practitioners who advertise that they treat children. Now the question is—why is it important to choose a pediatric dentist rather than a general dentist? 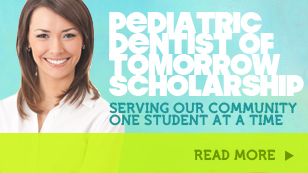 Children’s dentistry is so much more than just taking care of the teeth. While parents can take their child to any dentist, there are several reasons to bring your children to Smile Reef Pediatric Dentistry. For one, Dr. Jaren Jensen has the education and training to specifically treat children. This added training allows him to understand children’s dental growth better than a general dentist. As a Pedodontist, Dr. Jensen has studied child psychology, which is an important aspect in successfully treating children. Most children can be wary of dentists because of the pain associated with toothaches and dental treatment. Other times parents can influence how children perceive dental professionals. A successful children’s dentist understands this anxiety and provides an atmosphere of trust and comfort, helping children have a positive experience. Pediatric dentists not only take care of children’s immediate dental concerns but establish a relationship that will help them develop good dental habits and ensure dental health for their future. Another factor is the environment in the dentist office. Is it child-friendly? Does it make the visit a fun and encouraging one? At Smile Reef we have strategically arranged our office to be an inviting atmosphere. We provide exciting activities for children to enjoy while waiting. Children are excited to come visit our dental office because of the environment we have created. Lastly, a good children’s dentistknows how to treat children as a patient and as an individual. This shows in the way our staff interacts with your children, making each visit a positive one. Choosing the right dentist for your child is an important decision. After all, pediatric dentists are not just service providers but your partner in caring for your children. When you think about it a child’s dental health is critical not just for the teeth but for overall health.